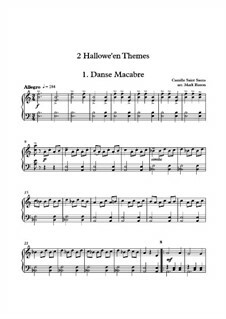 Simplified and shortened arrangements of two well known classical pieces commonly associated with Holloween. Danse Macabre was also used as the theme music for the TV drama "Jonathan Creek." The level of difficulty is roughly grade 3-4.